Please note: This event occurs at a different time than originally advertised. Beekeeper and artist Nic Dowse is joined by artist Zhu Ohmu, both of multi-disciplinary Honey Fingers Collective, for an MTalks that explores our human relationship with nature. This discussion explores how urban beekeeping—and making things like insect hotels, swarm traps, possum boxes and bee hives—can teach us new ways to think about non-human beings, urban ecologies, urban food webs and the city-versus-nature divide. 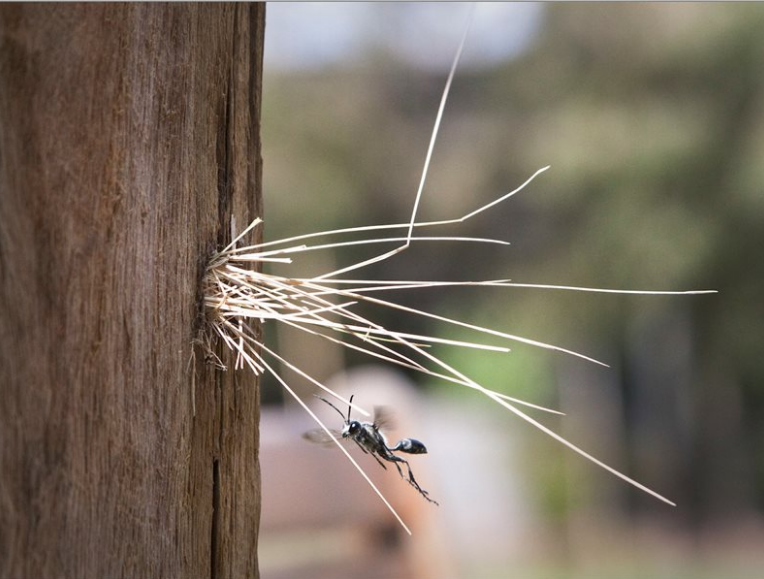 Nic and Zhu will guide us through the notions that getting involved in activities like insect hotels can give us a sneak peek into the complex entanglements of humans and ecologies in the twenty-first century. Special attention will be paid to ways that we can make room for a variety of ‘native’ and ‘exotic’ pollinators in our gardens and balconies. Nic and Zhu will also present examples of beehives and insect hotels that they have made. Come to MPavilion and bee involved! Update: On Tue 21 Nov 2017, a change was made to this event. It was originally titled ‘Make an insect hotel: An urban ecology workshop’ and included a workshop component.